A lot of people wonder how a relatively short guy like Kei Nishikori can get so much power out of his shots. If you’re interested in Nishikori’s racquet this is the post for you. 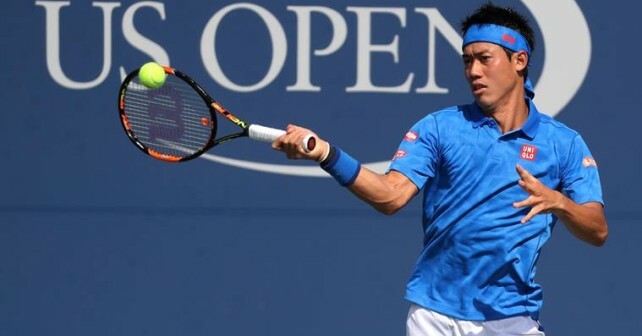 Contrary to what most people think, Nishikori is not playing with the racquet model he endorses, the Wilson Burn 95, but an older model called the Wilson BLX Tour (review by Tennis Warehouse on the link). Still, the Wilson Burn series of racquets is a very popular line for a reason – it simply gives amateurs to advanced players a lot of power and with the new Wilson Burn Countervail series, it also has a more dampened response for sensitive tennis elbows. I really think the Countervail technology works great, especially in the Wilson Burns and I can recommend them to a wide group of players looking for some free power. If you have a bit of a sensitive elbow, I would recommend you to string it up low with a soft poly string such as the Solinco Tour Bite Soft , a Luxilon 4G soft , or a Weisscannon Silverstring. All of them are great strings. 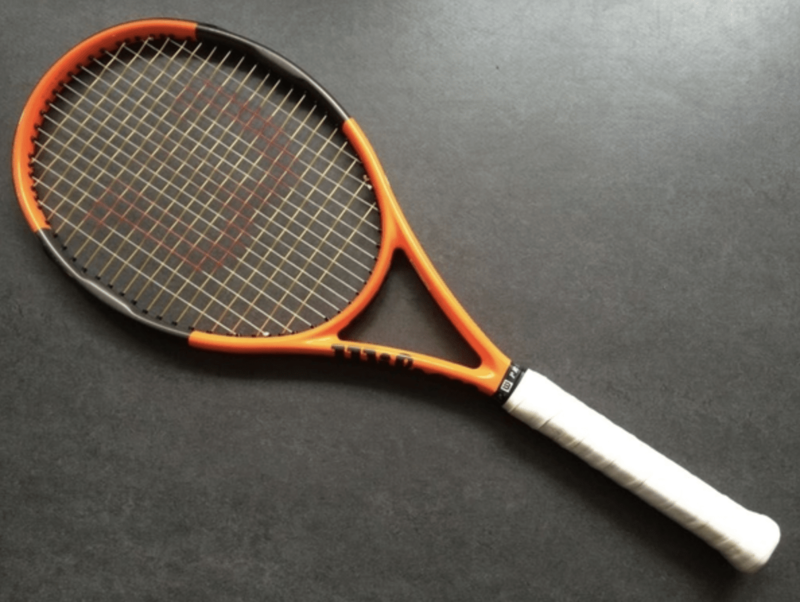 And if you want to check out other, more control oriented, racquets in the Wilson Countervail series, I would have a look at the Wilson Blade with Countervail (click for review) – an excellent choice for players who can supply their own power. His string of choice is Luxilon 4G which he strings quite low as you can see in the picture above! Buy Nishikori’s Gear at Tennis Express. Both the Wilson Burn 95 and the BLX Tour are stiff racquets that play fast, so I would recommend a softer string or a hybrid for players who want to emulate Nishikori’s specs. 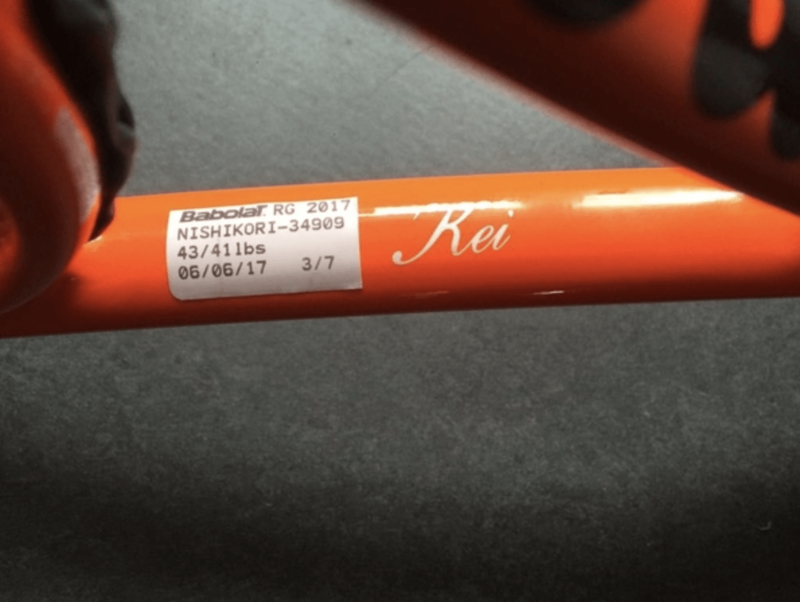 It’s also good to point out the extended length, which requires some getting used to if you’re not already using extended frames. Isn ‘t the Blx tour pl, more round in the troat and shaft area? Also it has larger than 95inch hitting area i think. Maybe Kei plays with a wilson pro stock like many of the Wilson ATP players? From what I know I’m pretty sure it’s the BLX Tour Limited. Below are the specs. Lots of Wilson pro’s are using H19 and H22, but Nishikori should be using the BLX Tour. Hi. I just Saw him play in Washington DC but he had a different cosmetic. More brown gold then the usual burn look. Kyle Edmund played a different one too. What’s happening?